After a week of wedding festivities here in town, our refrigerator and cabinets were pretty bare! So I stocked up on lots of stuff this week! 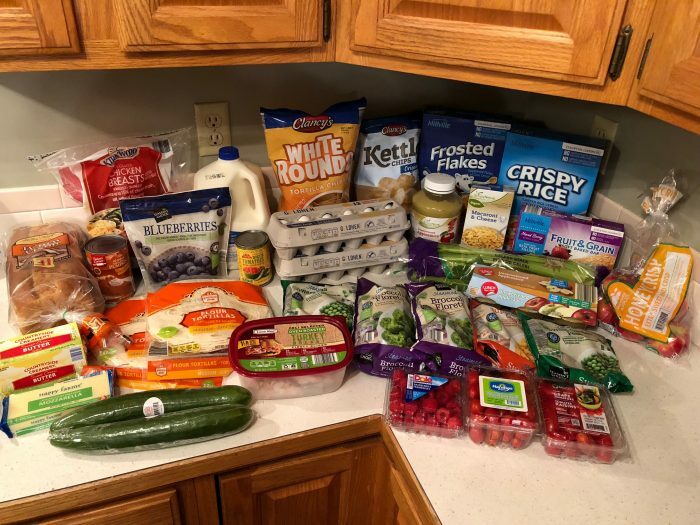 I have been looking for markdowns at Dillons in the early morning after school drop off and haven’t been finding much, but yesterday I ran into Dillons in the afternoon and hit the jackpot on markdowns!! 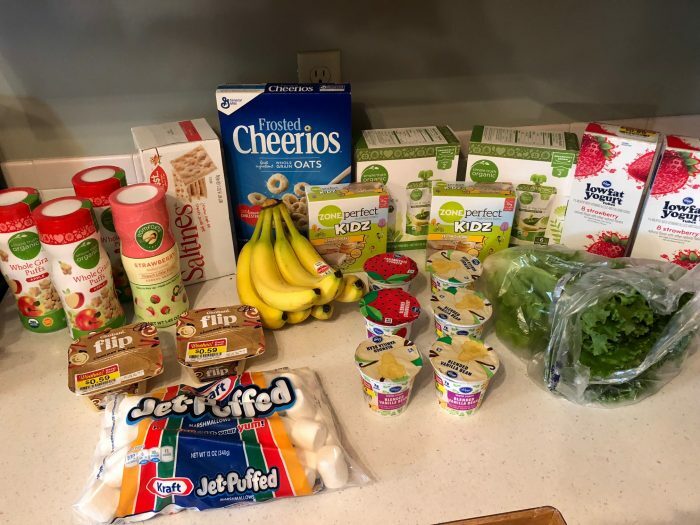 I was SO excited – especially with all the baby food finds as my 6 month old has just started eating solids! I think my Dillons must mark things down later in the day so I am going to start popping in there in the afternoons from now on. Not pictured: My Mom also brought a bunch of leftover wedding food to my house yesterday including milk, oranges, cucumbers, crackers, chips, cheese, salsa, ice cream and eggs! « Carter’s Cotton Baby Sleep Bags (2-Pack) only $4.96! Just a note on the fetch points… at least in my account, I need a minimum of 3000 points for a $3 reward, so 25 points is actually $0.025 (two and a half cents, not 25 cents). It takes me at least 1 minute to scan a receipt (longer if I have a long receipt), so I like to think of it in terms of an hourly wage- at that rate, I earn $1.50hr. Makes fetch not really worth it for me. It might be for you, but I didn’t want you to be thinking you were getting more points than you actually are. My sister, Gretchen, had a baby 6 months ago. This is a post from her.